It inserted so that fixation with a coach screw was sufficient for a long period of time. This review is about item#45522924. The material is stainless steel and is suitable for tightening bolts and nuts of our products. I think the quality is not bad, but I would like a SUS316 material if possible. If yes, please let us know the part number. This review is about item#45522985. Although I bought the display for M8, I can not get into M8 bolt. What is it to say? After all, I purchased at a nearby home improvement center. Since it is quite used at the time of maintenance, such as a car, a motorcycle, it can be purchased cheaply and it is saved. Quality is enough for individual use. This review is about item#45522976. It can be used normally. 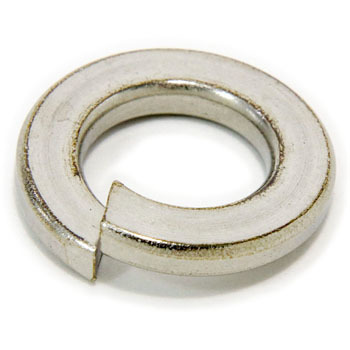 It is used with flat washers. Since it is a standard item, no matter where you request it, I ordered it at a cheap place and was right. This review is about item#45522951. The thing that was attached until now was rusted, so we changed it rainlessly as we exchanged. It is expensive for other products, but it is very cheap if it is Osaka soul. Especially it can be used without problems. . . . . . . . . . . . . This review is about item#45522942.